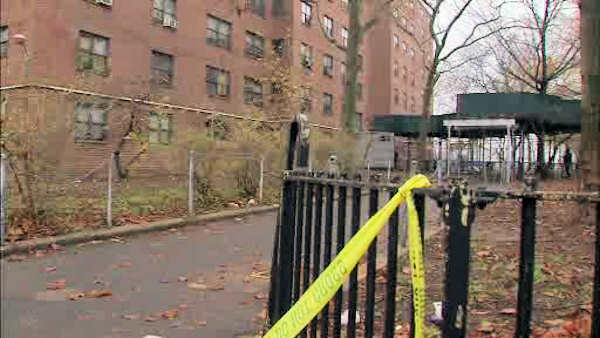 EAST NEW YORK, Brooklyn (WABC) -- A 27-year-old woman was fatally shot outside a public housing complex in Brooklyn early Wednesday. The incident happened at the Pink Houses in East New York, the same complex where Akai Gurley was fatally shot by an NYPD officer in 2014. Authorities say Salaya Figueroa was shot in the back while standing in front of the city-run Loring Avenue apartment complex just after 12:30 a.m.
She was reportedly standing with a group when the gunman came up to them and opened fire. The victim lives nearby. There is no motive.